TRANSCRIPTION OF EPISODE 163 – CANNABIS FOR DOGS? 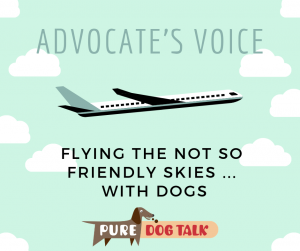 Laura Reeves: Welcome to Pure Dog Talk. I am your host, Laura Reeves, and we have a cool topic for you today. 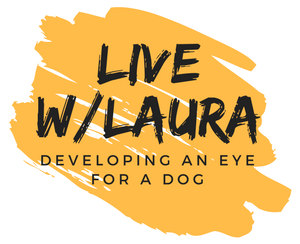 I am speaking to Kari Taylor and she is going to share with us a lot of very important information about medical marijuana and CBD oil, and how they are different, and what they are, and how they can benefit our dogs. So, this is like, incredibly cool stuff. So, welcome. I really appreciate you jointing us, Kari. Kari Taylor: Well, thank you Laura. I really appreciate the opportunity to speak with you and your listeners. This is exciting stuff for me. Laura Reeves: I think it’s exciting stuff for the world, to be honest with you. So, give us the 411. How did you get to be involved in selling medical marijuana? It is just such a great opportunity that’s going on right now. Kari Taylor: Absolutely it is. Well, as with most people who arrived on the doorstep of marijuana, it is generally out of a necessity. And, that being most other roads being exhausted at that time, then you open up to alternatives. And that’s where I found myself. It must have been about seven years ago now, but I was fairly sick and I was going to doctors, and naturopaths, and herbalists, and acupuncturists, and kind of exploring all of these different modalities of healing to find a remedy for myself. I was having endocrine problems. So, I went down the road, I found herbs and I started working a lot with herbs, and then I started working a lot with raw food as medicine. And I was getting really great results and I started working with patients. And I lived in Washington State at that time and medical cannabis was legal and I had a few patients that came to me that were using medical cannabis. And I noticed that those patients were improving in health much more quickly than ones who were not using medical cannabis. So, I kind of looked at that and thought well maybe it’s time for myself to learn a little bit more about this. There is obviously something to it. Laura Reeves: So, you are seeing patients. What is your personal background? Kari Taylor: So, I am a detoxification specialist. I work with herbal medicines. And I am a cannabis consultant. I have worked with over 4,000 patients just helping them find appropriate dosage and administration and things that would help them find wellness again. Kari Taylor: Yeah. So, I didn’t set out to be that initially. And it was through helping myself that I came to be that. And in working with those patients I was able to develop about a hundred different products that we used in different ways for these patients. And through that process many people started asking me questions about their animals. And with medical marijuana being legal now in 29 states and two territories of the United States, the majority of us in the United States are open to medical marijuana and its uses. So, we see now in states where medical marijuana is legal, as well as recreational cannabis being legal that there are a myriad of pet products available. So, lack of understanding of what they are and how to use them in most cases. Laura Reeves: Well, and reality, I know here in Oregon recreational marijuana is legal and I know my veterinarian tells me about seeing X number of cases a week of fluffy got into somebody’s dope, right? And it has made them very sick. So, I think there’s some questions that go with how do we use this safely? What is the different stuff that we have to work with? Laura Reeves: That would be a bad thing for your dog to get in to. Kari Taylor: Right. So, if your dog gets into a concentrate, it takes very little, like the amount of just a pencil head, would make most dogs extremely high. So, the good news, however, is that they have been unable to establish a legal dose with cannabis because it’s just enormous the amount you would have to consume to cause death. There is something called a lethal dose 50, which is where half of the participants in a lab test would die at that level of administration, and they haven’t been able to figure out what that is with cannabis simply because they cannot feed animals enough of it to cause death. And with humans they figured that you would have to consume about 1500 pounds of cannabis in 15 minutes to create a lethal dose within the system. Laura Reeves: Okay. So, in that piece that is definitely good information. So, what are the legalities in terms of veterinary use or using cannabis products, derivatives, in the veterinary industry? Kari Taylor: Well, unfortunately because it is a Schedule I drug, vets are not given the authority to recommend cannabis as a treatment. However, they do have the ability to discuss legal option, such as CBD oil with patients, and they also have the ability to discuss possible toxicity and other implications associated with the administration. So, for most vets, they are staying out of the territory for safety measures, however, with legalization they are being forced to learn about the toxicity factors, which I really don’t see cannabis as having toxicity factors with them but more psychoactive factors. And that’s when somebody would really bring their dog into an ER if they have ingested too much THC and they might be walking funny or sitting funny or essentially having a psychoactive experience. And there’s not a lot that can be done in that moment aside from waiting for it to pass. Laura Reeves: So, there is THC and there is CBD oil, and these two are different items? Kari Taylor: Yes. So, there is a distinction between what is CBD oil and what is marijuana. What the government has defined is that sourcing is what matters the most. So, CBD oil, which is a non-psychoactive cannabinoid found in cannabis and hemp plants, is, depending on its source, legal. So, if you source your CBD from industrial hemp plants and it is less than .3% THC, which is the other determining factor, then that can be a legal CBD oil that can be shipped across state lines and is protected by another bill, the omnibus bill of 2016 which says we are not going to spend money chasing after CBD oil. So, basically CBD is legal by looking at a number of different stipulations. Anything over .3% THC is considered medical marijuana. And that is in a different boat. So, we have 29 states that medical marijuana is legal within that state. Each of those states have different determinations of what is legal and what is not, and when it can be prescribed and when it’s not prescribed. And, of course, the federal government says that according to Schedule I you cannot prescribe medical marijuana. So, we have, in the states of medical marijuana, doctors who are writing recommendations instead of prescriptions. Laura Reeves: Oh, my gosh. So, between medical marijuana and CBD oil, these are two separate products, one legal in all states basically and one legal in half the states or a little over half the states, so draw a distinction for us. Medical marijuana can treat X, Y and Z. CBD oil can treat A, B and C. And let’s focus that in on our dogs. Kari Taylor: Okay. Well, when we look at a chart that has the benefits of various cannabinoids, so CBD being one cannabinoid, THC being another cannabinoid, CBD benefits more of the systems of our bodies, in general, than THC, meaning there is more medical uses. It modulates the body in a greater way. So, CBD has a particular influence on many different areas. So, largely what people use CBD for is pain. It is an analgesic. The second biggest use, I would say, is anxiety. It reduces anxiety and social stress. It has the ability to affect our memory as well, so people who have experienced PTSD, and this can be carried over to animals as well who have experienced say a trauma that has caused a change in behavior, learn through CBD the extinction of that fear. So, it affects our neural pathways in a way that we are able to realize that we are not in the trauma in the moment any longer and that we can let that charge go, the charge that was created by that event so that we don’t have to continue to replay past traumas and things in our lives. So, it works really great with dogs that have fear behaviors as well as generalized anxiety, meaning that if your dog is afraid of riding in the car, as an example, giving them some CBD beforehand can help make that experience more relaxing to them. Laura Reeves: Okay. So, the CBD oil – we will use your car ride example, you’ve got one that gets carsick or gets stressed out in the car, you’re going to give that to the dog by mouth, is that correct? Kari Taylor: Yes. Well, there’s a number of forms of administration. By mouth is one way. The skin also has receptors with every hair follicle, so topical administration of CBD also works very well with pets. Laura Reeves: Wow. Very good. So, CBD oil you are treating primarily pain and those fear, stress, anxiety-type things? Kari Taylor: So, there’s a whole bunch more things that it can help us with. Let’s take the car ride as an example again. It also helps with nausea, which is why it is great with cancer, one of the reasons I should say. And then CBD is also a really excellent anti-inflammatory. So, dogs with hip problems, with any stiffness problems, also benefit from the administration of CBD. And those are just the beginning! Laura Reeves: Right, and that’s just the beginning. Well, okay, so say I have a stiff, old, arthritic dog. Am I going to give it by mouth or am I going to use it topically? Kari Taylor: You can administer it in either fashion, and both are very effective. So, if it’s a chronic condition, generally what I advise people is regular administration is going to be the most effective for the animal. And then in cases of, say, a flareup, where perhaps it is worse than usual, so if they were doing regular administration by mouth then they could add in some topical in times where it seems the animal is struggling a little bit more. Laura Reeves: Right, because they can’t tell us, right, like what hurts? Kari Taylor: Yeah. I have a dog who has medial patellar luxation in both of her back legs. And she takes CBD oil every day. And I can see when we go on hikes and things she’s starting to walk a little bit more lazily or is slowing down a little bit, and I carry treats around with me and I give them to her right in the moment, and I can see the change in her disposition. I can also see the change in her gait, the way she walks and moves. It creates a more relaxed movement of the body. Laura Reeves: Interesting. So, we’re still working with the CBD oil. We have set aside the medical marijuana piece, if you will, and we are working on this with the CBD oil. So, if you go to a pharmacy, I know you have a compounding pharmacy, is that correct? Kari Taylor: I do compound medicine. And that is the medical marijuana that I do compound. Laura Reeves: So, the oil – it is just what it is, right? Like, there’s no 50% or 5%, it is just this is what it is, end of conversation. Kari Taylor: Well, yes, every oil is going to be different. And that goes for both medical marijuana and CBD oils. And there’s a lot of confusion around strength of oils. Laura Reeves: We’re trying to clear up confusion here. Kari Taylor: I have visited some of the top pet CBD sites and, in many cases, you can’t determine how many grams of CBD are in a treat or in the oil itself. In many cases they list the number of milligrams of hemp oil versus the number of milligrams of cannabinoids. Now, those are two different things. CBD is the actual compound that will trigger the receptors. Hemp oil is the synergistic blend of all constituents derived from the concentration of a hemp plant. So, when you’re using, say, hemp oil, you are getting a lot more of the original constituents that were with that plant, which is oftentimes very supportive in the absorption of the cannabinoids or the CBD itself. In the event of something that, say, measures in the number of CBD molecules present, the concentration of them, meaning something that says there’s 5 mg of CBD in this treat, most often those are derived from what we call isolates, or single molecules. So, they have taken the hemp plant and distilled it down to just the cannabinoids. So, you are looking at say a 99.9% pure CBD extract, which is a crystalline powder, and that way they are able to give you the actual CBD count within the oil. Not that they can’t give you the actual CBD count, but most don’t advertise it in the form of hemp oil. So, it is hard to know how to give your animal the correct dose when you don’t know exactly what is in an oil. So, I don’t want to say it is hiding the information, but it is not making it publicly available and easy to understand. I don’t like that part of this industry. All of our products are labeled by the number of cannabinoids that are present is what people are looking for. If you’re wanting to buy CBD oil, don’t you want to know how much CBD is in it? Laura Reeves: Give us an idea. So, I have a Wire Hair Pointer, Logan, who is a rescue dog and has severe separation anxiety. I mean severe. He weighs 65, 70 pounds. What kind of dosing am I going to be looking for in order to start treating this? Kari Taylor: So, the most common dosage, or starting point that people are using is 1 mg per ten pounds. So, 6 to 7 mg throughout the day would be what I would consider a beneficial dose for Logan. Kari Taylor: And that is just the starting point, because every animal is slightly different, just as every human is slightly different. We have different sensitivities. Some respond much more quickly than others do, depending on how fast our system moves. So, that is generally the starting point for us. And it is best to do that administration three to five times throughout the day, meaning if you are giving 1 to 2 mg at once, totaling 6 to 7 mg throughout the day. Laura Reeves: Got it. And are you doing that in like an eyedropper or a treat? How would you recommend someone dose that animal multiple times daily? Kari Taylor: Well, that depends on the animal too. Because animals, again, have their different sensitivities. Some may not be as happy with you trying to put a dropper in their mouth, so normally dropper-type medicines are put on a treat. Kari Taylor: And you can also buy CBD treats. Some of them have measured amounts of CBD and then some of them will tell you there is 2 mg of hemp oil, which could mean there is only actually trace amounts of CBD in something like that. Laura Reeves: Oh, interesting. So, this is an industry in its infancy for sure. Laura Reeves: …as a savvy consumer we should be looking for information that describes the CBD percentage, not the hemp oil percentage. Kari Taylor: Yes. And in most cases if you’re shopping medical marijuana as an example, or you are going into a dispensary to buy a pet product, those are generally tested. Most states have requirements that anything that is sold medically is tested, or at least they are moving toward that with recreational. If you walked into a dispensary in Oregon, in order for them to sell anything it has to have a label telling you exactly what is in that bottle. Kari Taylor: So, we are coming into the light. However, CBD oil, being considered outside of medical marijuana, it doesn’t follow those same laws. So, actually, CBD oil itself doesn’t need to be labeled in that way. That is why we see that there’s some that are selling it by milligrams of hemp oil versus the number of cannabinoids present. Laura Reeves: Right. So, when you’re treating your dog, say for separation anxiety, and you are treating them through the course of the day, are you then treating other systems, right? Kari Taylor: You absolutely are. So, let’s just talk for a second about what a cannabinoid is, and a cannabinoid is a neuromodulatory lipid. So, it is a fat that triggers receptors within our body that creates some sort of outcome. And that outcome can involve multiple systems. So, it can involve say the lymphatic system, moving the lymphatic system, it can involve the brain, which in the case of separation anxiety it can actually cut down that panic that the animal experiences. So, basically what happens is when we consume a cannabinoid, whether it be topically or internally, it will trigger the endocannabinoid system and the endocannabinoid system will then affect other systems within the body. Another system that it has a particular affinity for is the immune system. So, it causes various immune reactions. In the case of a dog with an autoimmune condition, it can tell the immune system to relax, and effectively changing the way the dog is experiencing that autoimmune reaction and reducing it. Laura Reeves: Okay. So, I’m trying to identify specific ways that our listeners can gather more information and – now, you said the CBD oil is legal anywhere because there’s limited THC content, is that correct? Kari Taylor: Yes. It must be sourced from industrial hemp to be legal to be shipped anywhere. And there are a lot of products out there like that. It is just a matter of determining what you are actually getting. And I recommend that whenever you are shopping or looking for a product for your animal that you view the test results for that product. Good, reputable companies will publish their test results, and that would be the number one important thing. See exactly what you’re getting. Laura Reeves: Good. So, you’re getting X percent of CBD, and the plant was grown this way, and all of that kind of stuff? Kari Taylor: Yes. Absolutely. Another thing that is a major factor is pesticide use and other contaminants. I don’t think of pesticides being synonymous with medical marijuana. But the reality is it is being used, so that’s another thing that I would advise people to look into when they are sourcing either CBD or medical marijuana, that they are making sure there are no other contaminants in their oils. Laura Reeves: Okay. Now, that’s a really good recommendation. So, while I am talking to you I am making up my scenario in my head. So, my friend, Marla, in Nebraska, has an arthritical dog. She could go online and find a product, and have it shipped to Nebraska, and there would be no legal complications there if it’s a CBD product. Kari Taylor: Correct. So long as the company that is making it has sourced it from industrial hemp, there would be no complications. Laura Reeves: Very good. And you are going to provide us with some links, yes, that we are going to put on our website so people can start looking up this information? Kari Taylor: Oh, absolutely. Yes. And there’s a ton of information, you know, that’s coming out about both CBD and medical marijuana. And there’s a lot of information to wade through, but we do have some particularly good sources that are available online that talk about human use as well as veterinary use, and I can provide links for those. Laura Reeves: Oh, that would be fabulous. Laura Reeves: Well thank you very, very much, Kari. I really appreciate you taking the time to share some of this information, dispel some of these myths, and we will make sure, listeners, that you have all kinds of options to look up more information and maybe find the answer to that puzzle you have been looking for. Thank you, Kari. Kari Taylor: Thank you, Laura, I really appreciate what you are doing, and I appreciate the opportunity to speak with you and your listeners, and I would be happy to answer any further questions and reconnect at any time. Laura Reeves: Excellent. Thanks so much.